Heard the buzz about our brand new studio space? Well, it’s true and we’re thrilled! Our new studio space is a dream come true for all of the staff at LSY as we continue in our mission of bringing yoga and wellness services into life. 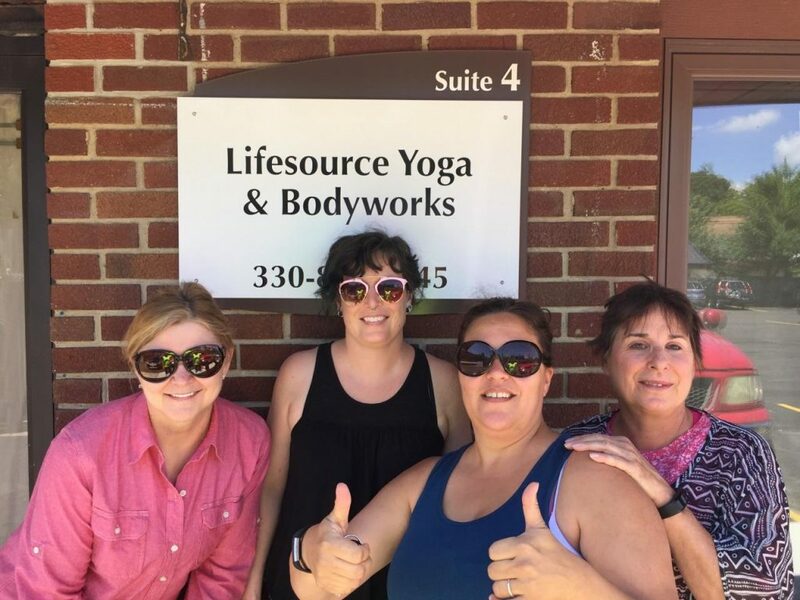 Lifesource bodyworks associates Debora Totti-Cranendonk (Certified Pilates instruction & Reflexology), Terence Cranendonk (Feldenkrais Method instruction), Barbara DeWilde (Massotherapy & Chakra Reading), & Stacy Cantlin, PhD. (Holistic Nutrition & Lifestyle Consultation) will continue under the LSY roof, and we’re thrilled to continue to share space with these talented and amazing professionals offering the perfect services to enhance and complement your yoga practice and life! The contractors are working hard to complete the construction of the new studio, and the moving truck will be at the curb as soon as the paint is dry! Stay tuned to lifesourceyoga.com or @lifesourceakron for updates on the exact moving date or keep asking at the front desk. Special thanks to John and Alex, Steve and Alma and all the talented craftspeople who are working to help us make our dream come true! Fairlawn Marketplace/55 Shiawassee Avenue, Suite 4, Fairlawn, OH 44333. PS-You’ll love our new neighbors too! We’re going to be in great company. More on that later….